This picture -- which Spirit took on May 19, 2005 -- took the top honor in JPL's MER Photo Contest earlier this month. 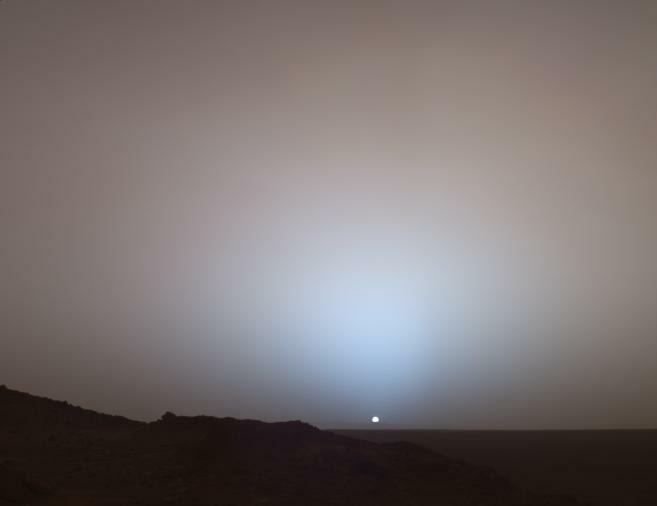 The rover captured this stunning view as the Sun sank below the rim of Gusev crater. This Panoramic Camera (PanCam) mosaic was taken around 6:07 in the evening on Sol 489. The bluish glow in the sky above the Sun would be visible to us if we were there, but an artifact of the PanCam's infrared imaging capabilities is that with this filter combination the redness of the sky farther from the sunset is exaggerated compared to the daytime colors of the Martian sky. Since Mars is farther from the Sun than the Earth is, the Sun appears only about two-thirds the size that it appears in a sunset seen from the Earth. The terrain in the foreground is the rock outcrop Jibsheet, a feature that Spirit investigated for several weeks. The floor of Gusev crater is visible in the distance, and the Sun is setting behind the wall of Gusev some 80 km (50 miles) in the distance. Spirit, which passed the milestone on January 3 in Gusev crater, and Opportunity, which hit the mark on January 24 in Meridiani Planum, are healthy and defying all odds with every passing day. This month the solar-powered robot field geologists are scheduled to move to several new locations to dig up more clues to add to the continually evolving story of past water on Mars. "Time's passing and we're not going to take a leisurely approach to anything, because we don't know how much longer these rovers are going to last," Steve Squyres, the principal investigator for rover science and professor of astronomy at Cornell University said, following a long planning meeting this afternoon. "With both of these vehicles there's a constant sense of urgency. That's nothing new. We have to keep moving." Down on Earth, the folks at the Jet Propulsion Laboratory (JPL), where the rovers were designed and are being managed, held a photo contest in honor of the MER anniversary, asking viewers to choose their favorite picture from 16 pre-selected images, many taken with the panoramic cameras (PanCams), which have produced those breathtaking, full-color views of the Martian landscapes that all but put you right on the planet. 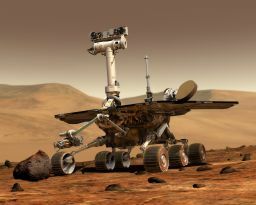 Actually, since landing back in January 2004, Spirit and Opportunity have sent home one stunning image after another taken with these state-of-the-art cameras, more than 60,000 high-resolution, multispectral, stereoscopic images to be exact, of rocks, soils, sky, and sunrises and sunsets at the Gusev crater and Meridiani Planum exploration sites. 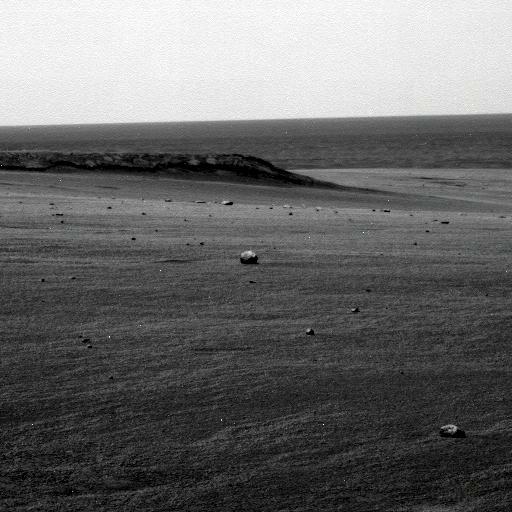 A choice selection of the PanCam pictures can be found in Postcards from Mars: The First Photographer on the Red Planet (Dutton, 2006) by Jim Bell, the principal investigator of the cameras, an oversize, hardcover coffee table book (available online and in bookstores everywhere). Combined with other MER data sets, these revealing color and black & white images have allowed new discoveries about the composition, mineralogy, and geologic and geochemical evolution of both sites, as Bell, of Cornell University, and colleagues discussed in a recent article in the Journal of Geophysical Research. More than 10,000 people voted in the MER Photo Contest. The envelope please . 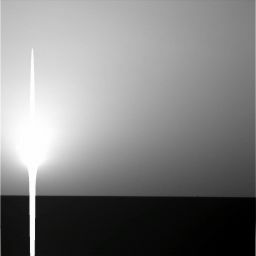 . . and the winner is -- an image snapped by Spirit in 2005 that shows a Martian sunset in all its extraterrestial glory. Up on Mars, however ironically, the transition to Year 4 didn't come easy for Spirit and its anniversary was anything but a party. The rover -- which has been challenged again and again during the mission -- got caught in a dust storm and was evacuated from Esperanza -- the intriguing, spongey-looking rock it was investigating over the Christmas holiday -- and instructed to move to a nearby north-facing slope to drawn in as much sunlight as possible to stay alive. "We were in emergency mode and had to switch the plan to continue the close-up study of Esperanza midstream," said Ray Arvidson, rover science deputy principal investigator for rover science and the Washington University geologist who is managing the day-to-day research at Gusev. "We stowed the IDD [instrument deployment device] and drove immediately to a small, north-facing slope nearby." The dust in the atmosphere put the rover in a haze that Arvidson likened to "Los Angeles before the Clean Air Act." While that may not sound all that bad, for a rover on Mars it could be life-threatening and a cloud of concern hung over the MER team throughout the New Year's holiday. Had the storm persisted and the atmosphere gotten much dustier, it could have been curtains for Spirit. But as the rover attained a 7-degree tilt to the north on the little slope, "the power jumped," and team members were able to breath easy again, Arvidson said in an interview earlier this week. Spirit didn't waste any time getting back to work, turning its attention and tools to a distinctive outcrop dubbed Troll just a few feet away where it spent most of the month. This week, the rover began driving back to Tyrone, the "dicey, disturbed area of white and yellow soils," as Arvidson described it, where it got temporarily stuck last April. The team knows there's water and sulfur in the minerals that make up those bright soils, clumps of which got stuck in its wheel casings and dropped all along the route to its winter haven, Low Ridge, last year. Now the team wants the rover to go back and get just close enough to fully characterize the stuff and figure out the difference in composition of the two – but not get stuck. Once that task is completed, the rover will head back to Home Plate, where it will spend an estimated 3 months investigating this eroded over volcano. 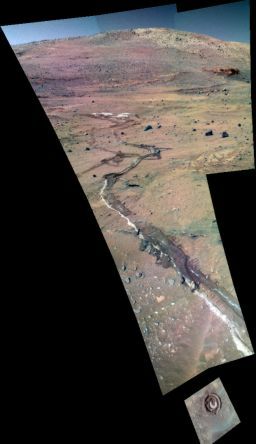 On the other side of the planet, Opportunity continued its trek around the rim of Victoria crater. As December gave way to January, the rover stopped and took a long break in driving to check out Santa Catarina, a stand-out rock in a dense cobble field en route to the Bay of Toil. The rover spent the better part of the month there checking out the funky hunk of rock with all its instruments and remote sensing quite a few of the other cobbles in the area. "We're still thinking about it, but I would say it's a high probability that Santa Catarina is a meteor," Squyres said. That would be the fifth meteor found on the mission to date, unless of course the entire cobble field is meteoritic debris and that, too, he confirmed is "a high probability." 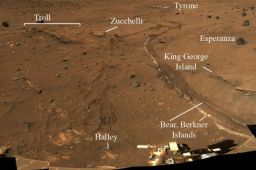 Although Opportunity suffered an unexpected, temporary shut-down, had an issue with its rock abrasion tool (RAT), and a few "busted drives," as Squyres put it, the rover pressed on and successfully roved onward from the Bay of Toil to Cape Desire. Along the way, it successfully conducted communications tests in support of Phoenix, the small Scout mission that is to launch later this year to land in a shallow valley, located at 68.35 degrees north, 233 degrees east, dubbed Green Valley, a name coined by Arvidson, who heads Phoenix's landing site working group. Both Spirit and Opportunity attempted to get a picture of the comet McNaught on January 19-20. Such images would have been stellar additions to its PanCam scrapbook, but the attempts were, unfortunately, unsuccessful. 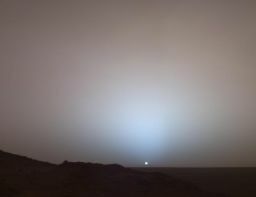 "The pre-dawn sky on Mars is just so darned bright and the sky near the horizon so hazy because of all those fine-grained suspended dust particles," explained Bell. "We got some nice morning sky views, but couldn't see the comet." Spring officially begins in the southern hemisphere of Mars on February 8 this year and if the rovers could talk, no doubt they would be saying: "It can't come soon enough." As the Sun rises higher in the sky, the twin robot geologists will naturally see their power levels increase, a boost that will be most welcomed by Spirit, who has been struggling with power issues since winter began last year. Interestingly, after Spirit's New Year's scare, the engineers at JPL went back to their computers and reanalyzed the power situation. "They found that because we'd gotten past the coldest part of winter and the period of least amount of Sun, we could actually get by with 20-30 watt-hours less energy than we could in the worst case scenario in winter," said Bruce Banerdt, MER project scientist at JPL. "When the tau is variable as it is this time of year, we need a certain amount of margin, because it can move up very quickly as a local or regional dust storm moves over. But with the higher temperatures due to the fact that we're moving toward spring, the engineers found that the margin they were holding was greater than it actually needed to be. That means in retrospect we probably didn't have to back off Esperanza and get a northern tilt," he explained. As a result, the engineers revised the danger levels. Still, it was "pretty touch and go over that [New Year's] weekend," Banerdt confirmed. But getting to Esperanza was "the real nail-biter," he said. "Having to stay at the winter site for so long and not move or be able to get to all the interesting stuff we were able to see in the McMurdo pan, that was what was really tough." For now, with spring almost in full bloom and the rovers in generally good health, the forecast is sunny. "Things are looking pretty good right now," said Squyres. 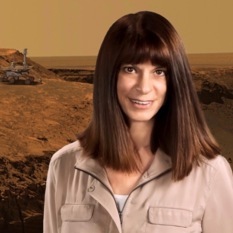 "We're about to spend our third Ground Hog Day on Mars." This image from the Mars Reconnaissance Orbiter's High Resolution Imaging Science Experiment (HiRISE) camera shows the area in the Inner Basin of the Columbia Hills that Spirit is currently roving around. 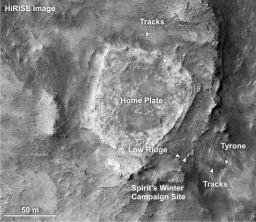 While millions of Earthlings were dreaming of a White Christmas, Spirit was stuck in a haze of rusty red trying to dodge the first big storm of the season at Gusev crater. Actually, given that it is dust storm season on Mars now these dirty winds were not unexpected, but this storm was a real concern and as the team viewed it then, Spirit was in serious danger. The rovers estimate dust levels by measuring opacity -- the degree to which the atmosphere is impenetrable by light. This value or measure of how obscured the Sun is when viewed through the atmosphere is known as "tau" and it varies on a continuous scale from 0 on up. It's not like the typical scale of 1 to 10, however. When the tau levels rise to 1, it limits the activities the rovers can perform and values of 2 or greater can be fatal. During most of Spirit's mission on Mars, tau values have ranged anywhere between 0 and 1. Not surprisingly then, there was real concern over the holiday weekend about whether or not Spirit was going to make it to its anniversary when the tau suddenly rose to .9 and then tipped to 1 at the end of December, and the rover's power levels began dropping. The MER team responded immediately to the emergency. The rover, they decided, which was on relatively flat ground, had to move so it could tilt its solar arrays directly toward the Sun. 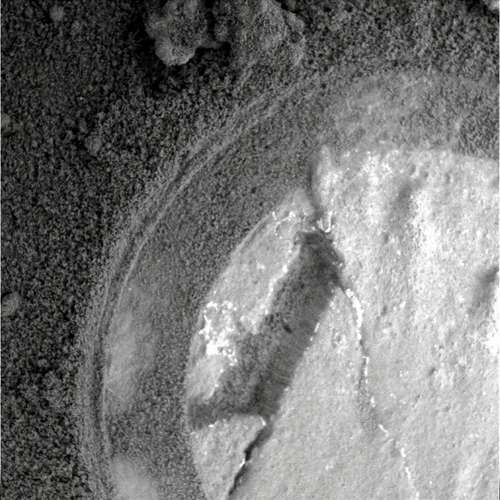 Someone must be watching over the little rover – or it drew on what little luck it has had on this mission (compared to Opportunity), because a safe haven was just a few feet away. "It was a spot that had a little slope to the north," said Arvidson. "We're best at driving backwards, so we left Esperanza and moved onto the slope in what was a fairly easy drive." As Spirit arrived and positioned itself on the slope, attaining a 7-degree tilt to the north, "the power jumped," he said, even though the tau had not gone down. "We hunkered down for the weekend on this little north-facing slope and stayed there for awhile, waiting for the tau to drop," he added. On Sol 1066 (New Year's Day 2007), the tau rose to 1.136 causing the rover's solar array energy to drop to a low 276 watt-hours, a level it had experienced briefly before in the depths of winter at Low Ridge. Had the tau risen much higher than it did, it might have been curtains for Spirit, but as it turned out, it peaked on New Year's Day. No one wanted to take any chances however, so the rover spent the rest of the holiday week keeping an eye on the sky, measuring the atmospheric dust that was blocking so much of the sunlight with the PanCam and conducting its other daily atmospheric and remote sensing observations that included taking readings from the sky and ground with its miniature thermal emission spectrometer (mini-TES), and looking for clouds with the navigation camera, observations it's been making almost daily throughout the mission. As the dust storm receded, the tau began to slowly start going back down. Once the engineers at JPL reanalyzed Spirit's power situation, they realized the rover could survive on less power now that spring was moving in. "For this time of year -- when temperatures are getting warmer and it's not getting super cold at night -- the amount of power that Spirit needs for survival is considerably less than it was in the wintertime. What the rover needs to survive in winter is something between 200 and 250 watt-hours, whereas now we can survive on something less than 200 watt-hours, so even with relatively low power numbers we're able to safely operate the vehicle and get lots done," Squyres explained. While the science team members discussed going back to Esperanza to finish the work it had started there once the storm blew over, they decided instead to have Spirit move on to Troll, a distinctive outcrop that features a light layer and a dark layer, which was just a few feet away. "Esperanza was a difficult rock to get to anyway and Troll, which was less than a meter or so away is where we had planned to go next," Arvidson noted. "So we did a bump (a very short move) with a rotation and began investigating this 2-layered outcrop." During those critical days at the beginning of the month, Spirit kept a PanCam eye on the sky to continuously monitor the dust in the area, and also took readings from the sky and ground with its miniature thermal emission spectrometer (mini-TES), and looked for clouds with the navigation camera as it has been doing throughout the mission. On Sol 1067 (January 3, 2007), its anniversary, Spirit began watching for dust devils again and acquired successive navigation camera images that could be made into a movie. On the following sol, the rover celebrated with a full workday, surveying surrounding rocks, taking full-color images of a target called Desolacion with the PanCam, and testing more elements of its new computer "smarts" that will enable it to autonomously place the scientific instruments on the IDD directly onto a target of scientific interest. In that test, the rover successfully acquired images of its workspace, unstowed the IDD, and planned a path of approach for reaching a target all autonomously. Spirit also used its new software to acquire images of the terrain using the hazard avoidance camera, construct a three-dimensional model of the terrain, identify rock or soil exposures of interest, and generate plans for placing the Mössbauer spectrometer and microscopic imager (MI) on 10 of those targets, again all by itself. On Sol 1069 (January 5, 2007), Spirit took more full-color PanCam images of Esperanza, then approached the rock exposure dubbed Montalva, one of the lower, light-colored layers of Troll. It took PanCam images of it and another layered rock exposure on the top part of the outcrop known as Riquelme. For the better part of January, the rover was tasked with investigating these and other sites on Troll, with all the instruments on the IDD. 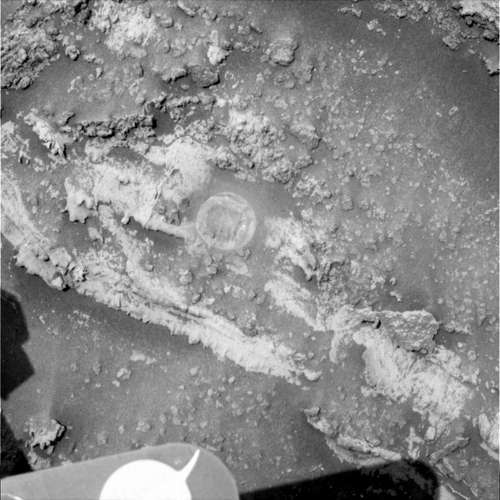 The following sol, the rover brushed the surface of Montalva with its rock abrasion tool (RAT), acquired a close up picture of the rock with the microscopic imager (MI), and placed the alpha-particle X-ray spectrometer (APXS) on it for elemental analysis, then closed out that first week of the New Year by taking a full-color, PanCam image of a boulder dubbed Davis and snapping some black & white images of other potential scientific targets with its navigation cameras. In addition to conducting its daily atmospheric observations, Spirit spent much of the second week in January continuing its examination of Montalva, taking full color pictures with the PanCam, and studying its composition with the APXS and its iron content with the Mössbauer spectrometer. "We want to pin down the characteristics of Troll's dark layer and the light layer, because it's an outcrop that seems to be right at the distal edge or the periphery of Home Plate," said Arvison. Home Plate is the large circular feature the rover first visited last spring and which the team believes is an eroded over volcano. "We think Troll may be related to that," he added. Spirit filled out the week by using the navigation camera and the mini-TES to check out a nearby rock called Kohnen and another target called Amundsen on Sol 1074 (January 10, 2007), making 3 PanCam observations of the Martian moon Phobos as it transited or passed between the rover and the Sun on Sol 1075 January 11, 2007), Sol 1077 (January 13, 2007), and Sol 1078 (January 14, 2007), and again searching for dust devils on Sol 1075 by acquiring video frames using the navigation camera. The rover wrapped the second week of January by mini-TESing targets dubbed Svarthammaren, Sejong, and Amery and searching the sky for clouds with the navigation camera. Spirit continued to make progress on Montalva and by the third week of the month, the team saw that the APXS data was showing that it boasted a high potassium content. To confirm the potassium was present in the outcrop as a whole, the science team selected an adjacent exposure, which they tagged Montalva Offset, for further scrutiny. On 1079 (January 15, 2007), Spirit pulled out its mini-TES to remote sense two more rock targets, Guillaume and von Neumayer, and also began scientific analysis of Riquelme, which lies within the middle stratigraphic units of the Troll outcrop. On the following sol, the rover used its PanCam to snap a full-color image of Zucchelli, "a more platy-looking piece of rock sitting on top of the Troll outcrop," as Banerdt described it, then used its MI to closely inspect the Montalva Offset. Dust levels finally began returning to normal levels, with tau dropping to 0.549 on Sol 1081 (January 17, 2007), resulting in increased solar energy of 343 watt-hours, the most energy that Spirit has had in awhile. That sol was a good sol all the way around and the rover had a most productive day, acquiring some stereo PanCam images of Home Plate (for use in creating a digital elevation model of the raised, circular plateau), snapping some images of the El Dorado dune field, surveying a target known as Maud Land with the mini-TES, and searching for dust devils using the navigation camera. In the sols that followed, Spirit took more PanCam images of the Montalva Offset and Riquelme, got into studying the composition of Riquelme with the MI and APXS, checked out a rock target called Lazarev with the mini-TES, and searched some more for dust devils on Sols 1082 (January 18) and 1084 (January 20, 2007) with its navigation camera. The rover used the PanCam again to observe yet another transit of the Martian moon Phobos as it passed between the rover and the Sun on Sol 1082 (January 18, 2007), and also attempted to get a picture of the comet McNaught at sunrise on Sol 1083 (January 19, 2007), but predawn sunlight made the comet impossible to image. Spirit finished up the third week of January by using its mini-TES to check out another outcrop known as d'Unville, the PanCam to take pictures of a soil slip called Lennox and layered rock targets known as Los Estados, Wollaston, and Monte Dinero, and the MI to take stereo images of targets dubbed Londonderry and Contact. On that same sol -- 1085 (January 21, 2007), Spirit used the wire brush on the RAT to once again brush the surface of Montalva, which was renamed Montalva Daisy, because of the daisy-like arrangement of circular brushed areas on the rock's surface. Last week, Spirit turned its PanCam to Home Plate in preparation for its return to the circular plateau and to the Martian horizon and sky. The rover also searched again for dust devils, and acquired mini-TES data on 2 more rock targets, Svea and Maudhem, and on Montalva Daisy and the background area around the target. All told, in addition to the multiple sites at Montalva, the rover studied 3 spots on Riquelme and 5 different spots on Zucchelli with the mini-TES, Mössbauer spectrometer, and the PanCam. From all that data, it appears that Troll is composed of spherical particles that just may be lapilli, the pebble-to-granule sized rocks ejected during a volcanic eruption, which of course would make sense given that Home Plate is in all probability an old volcano cone. "The results of this investigation are not entirely in yet, but the outcrop does look like more of these granular or particulate deposits that may -- or may not be -- related to being at the periphery of Home Plate and whatever volcanic explosions we think happened there," Arvidson ventured. "The stuff at Troll looks very much like what we found back at Graham Land, the target Spirit investigated right after turning around after staying stationary for nearly 7 months at Low Ridge," added Squyres. "The interesting thing about the Troll outcrop is that the upper portion had the little round granules in it and the lower portion, which was just massive, did not and yet the whole thing -- the upper and lower portions -- was chock full of hematite. So we don't think the hematite here was particularly associated with the round granules because we also seem hematite in the portion of the outcrop that doesn't have the round granules at all. We still puzzling over it." In recent days, Spirit left Troll and headed back to Tyrone "a morass of ferric sulfate salt," as Squyres has described it. 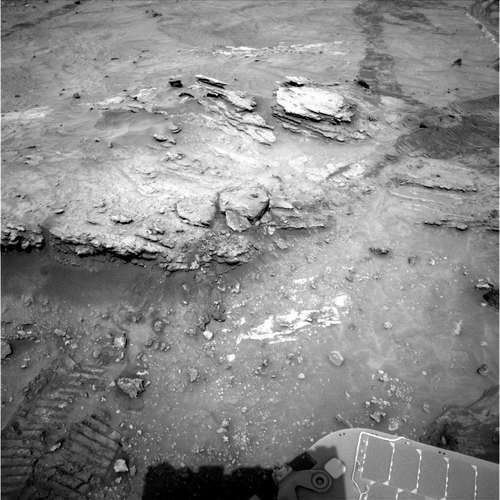 That's the white patch where the rover got temporarily stuck last April during its mad dash for Low Ridge. "We never did a detailed study there because we had to get to the winter site," said Arvidson. "We were just able to mini-TES a couple of spots on the white soil and never even looked at the yellow soil -- and the different colors mean there are different minerals." The rover, however, was able to study some of that white Tyrone material more during its winter campaign because it unintentionally dragged some of it there in the right front wheel cowling. "We know that for certain now, because when we did the emergency drive to the north-facing slope at the beginning of this month, we crossed the track with the bright material and we didn't dig up any new bright material," Arvison explained. "So what we studied last winter was taken to Low Ridge courtesy of the rover -- it's a good thing it's not a national park," he chuckled. "From the APXS and Mössbauer inspections of the bits we drug back to Low Ridge, we know that the white sample we studied is iron ferric sulfate, Fe+3, at least, but there's more sulfur than can just be satisfied by iron. So there are apparently other types of sulfates, with other cations, like magnesium bound in," he suggested. "What we noticed from PanCam is that the site distinctively features both yellow parts and white parts in the soil and from mini-TES we know it has water in it." That's not liquid water, mind you. "Here's the story," Arvidson continued, briefly recounting his presentation from last fall's American Geophysical Union Meeting: "From mini-TES what we see in the spectrum -- this is derived by Steve Ruff from Arizona State University [now in charge of day-to-day operations of mini-TES] – is a big 6 micrometer bump in the emissivity spectra. That is due to the presence of water molecules, and the hydrogen is bending back and forth the bonds about the oxygen, so it's a fundamental vibrational mode of water. That means there is water bound in the minerals, ether in the crystal structure or within the volume." So Tyrone's bright soils have drawn the MER team back to follow the water, which, of course, is exactly what he rovers are charged with doing on this mission. "But we're not going to drive all the way back to Tyrone and get stuck again," assured Squyres. "There's a lot we can do with PanCam and mini-TES from a safe distance, so that's the plan." "We have a standoff distance from Tyrone of maybe 10-12 meters, so it's safe, far away but close enough to see Tyrone in more detail than we had seen from the winter campaign site again," elaborated Arvidson. "In the last couple of days we have been very carefully evaluating the old tracks and where they were in firm soil. We're going there, but no closer. We'll put the IDD down on more of that dragged soil that is closer to Tyrone proper, then use the mini-TES and PanCam to remote sense both the white and yellow materials in the site. We want to stare at those materials for long enough to get good signal noise to see if we can back out the mineralogy and look at that 6-micrometer bump that's due to water and then see if the longer wavelengths of the mini-TES can tell us what the mineralogy is." The team also plans to look at those white and yellow patches with PanCam's 11 geology filters. "The other interesting point is that those Tyrone soils are right at the base of a little terrace, a little uplifted area that surrounds McCool Hill," Arvidson offered. 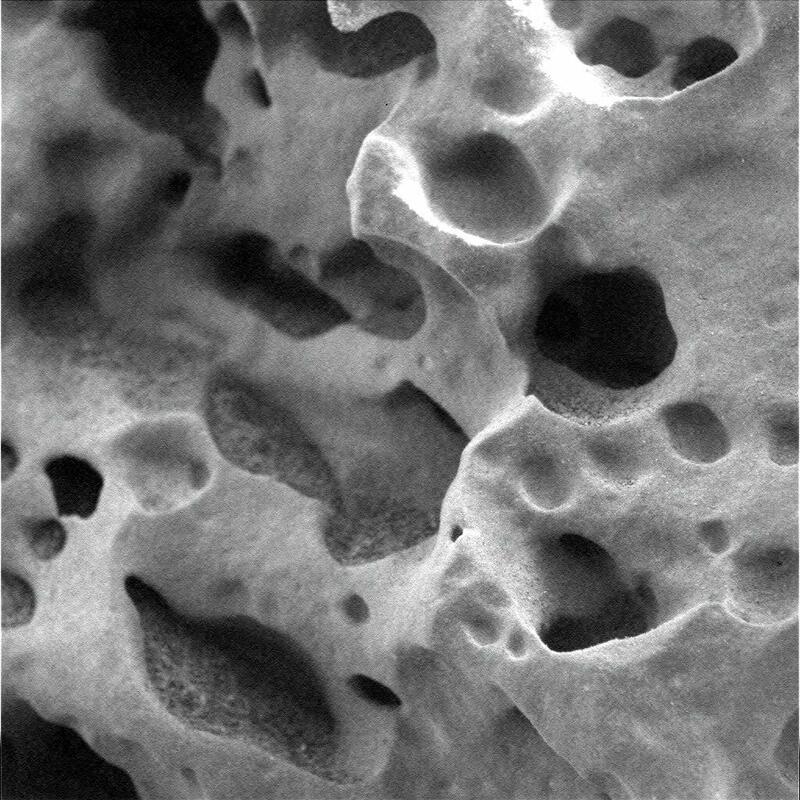 "My idea – and this is my own personal hypothesis – is we might be looking at evaporitic salts that have come from acid solutions, water solutions bleaching McCool Hill, just coming up and evaporating right at the base through the regolith that was at the base of the hill and forming these sulfate-rich salts." It may be, he said, an underground water process that may be somewhat similar to what happens in Death Valley. "Death Valley has the big salt deposits and to the west are the Panamint Mountains, which features these enormous alluvial fans that extend from the Panamints into the Valley," Arvidson expounded. "What happens on those alluvial fans is you get ground water coming through the mountains and it sinks down, then it comes up into the Valley. But right at the base of those alluvial fans, you get groundwater upwelling. That's kind of the way groundwater works. It sinks into the mountains, then rises up into the basin. That might have happened with Tyrone in the past. We don't really know -- this is a speculation on my part. But these have to be fairly recent deposits, because they're loose and they're in the regolith." Yestersol, Sol 1094, Spirit bumped forward to get in a position to use the IDD instruments to make more measurements on some of Tyrone's bright materials, and will spend the next several days there conducting a pretty detailed study with its remote sensing instruments. "Tyrone is going to take a few days," Arvison said. "We want to do it right, because it really is following the water. We have that 6-micrometer feature in the mini-TES spectra, the water bend, and that's pretty exciting and we have water-related materials produced in the regolith, not as outcrop but in the regolith. We probably need 5 sols' worth of observations at a minimum." Once the work at Tyrone is complete, Spirit, at long last, will be heading back to Home Plate. If everything goes as planned, the rover should arrive there in a couple of weeks, Arvidson predicted. Squyres, as always, hesitated on underscoring an estimated time of arrival. "This is a 5-wheeled rover driving in very difficult terrain," he reminded. "We're prepared to have these drives go slowly and be difficult. That's doesn't mean they will, but they could be." The team has been anxious to get back Home for a long, long time. "We only saw maybe a quarter of Home Plate on the way to Low Ridge last April and we're debating now what the campaign should be," said Arvidson. "We've got the first part mapped out, but we don't know what portions of Home Plate are traversable with this rover now and what portions are not," added Squyres. "There's a slope up onto it that we're hoping to climb, but if we can't then the plan we'll have to take a completely different approach. Because of the uncertainty of the mobility capabilities of the vehicle at this point we have to be flexible in our planning." The one thing the team is determined to do though is "pin down this hypothesis that it's an eroded down, explosive volcanic cone," as Arvidson put it. That means, even in the best of all scenarios, the study of Home Plate will take awhile, maybe as much as 3 months or so," he said. After that, the plan, for now, is for Spirit to egress from Home Plate and head to the southwest toward Goddard and Von Braun, a little mesa and another circular feature. Three years and still going and going . . .
Three years after embarking on a historic exploration of Mars and 6 miles away from its landing site, Opportunity is roving around the rim of Victoria Crater ridge by ridge, photographing its spectacular layered cliffs. To identify various alcoves and cliffs along the way, MER science team members are using names of places visited by the 16th-century Earth explorer Ferdinand Magellan and his crew aboard the ship Victoria, who proved the Earth is round. This orbital view of the big crater was taken by the Mars Reconnaissance Orbiter (MRO). 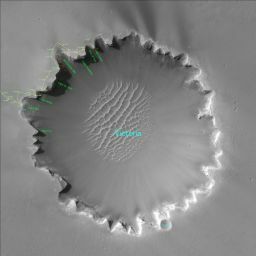 As the calendar flipped over to the New Year, Opportunity was in the midst of scientific studies on a rock called Santa Catarina, a "significant" stop, as Squyres defined it, on the plains between Bottomless Bay and the Bay of Toil, in the Cabo Anonimo area, just off the scalloped rim of Victoria crater. The target was a stand-out in a dense cobble field, the likes of which the MER team hasn't seen before, so it decided to stop and spend some time checking it out. The rover examined Santa Catrina thoroughly, taking extensive measurements with its alpha-particle X-ray and Mössbauer spectrometers to determine its composition, though it didn't use the rock abrasion tool (RAT). "We did not attempt to RAT it, because it was too small and too rough to RAT," reported Squyres, who is managing the day-to-day science at Meridiani Planum, as well as overseeing the entire MER mission as principal investigator. Actually, on Sol 1045 (New Year's Day 2007), Opportunity spent the holiday taking some microscopic imager (MI) pictures of Santa Catarina and acquiring elemental data about the rock using the APXS, as well as conducting its daily atmospheric observations that included monitoring the dust in the area with the PanCam, taking readings from the sky and ground with its miniature thermal emission spectrometer (mini-TES), and looking for clouds with the navigation camera. It was probably a good thing the team had decided not to use the RAT that day, because during one of the routine imaging sessions, Opportunity detected a stall in the grind motor of the RAT. "Originally we thought it was a motor failure or jam, because the telemetry we were getting back said the RAT wasn't turning," said Banerdt. "We did some diagnostics and kept getting no indication it was turning. Then we took some pictures and it was clearly moving, so we finally figured out it was the encoder, the sensor that keeps track of the motion of the motor." So, the RAT is operating perfectly fine, but the encoder which gives telemetry on its position as it is in use, coming in contact with a target, has failed. Engineers at Honeybee Robotics, the manufacturer of the RAT, are looking at workarounds, he added, and they anticipate having it back up in a couple of weeks. Until then, the RAT will stay safely ensconced in the IDD. During the rest of the first week in January, Opportunity continued its examination of Santa Catarina with the APXS and the Mössbauer spectrometer and took full-color PanCam pictures of other cobbles in the field, dubbed Joacaba, Tubarao, Igreja, Florianopolis, Xanxer, Videira and Chapeco, all of which the rover also mini-TES in order to determine their composition. The rover also conducted communications tests on Sol 1047 (January 3, 2007) in support of the Phoenix mission to Mars scheduled for launch later this year, just as it had on Sol 1037 (December 24, 2006). Basically, the tests involved sending UHF-band transmissions to the Odyssey orbiter as it passed overhead, communications that mimicked those to be used by Phoenix. All transmissions made it through with flying colors. On Sol 1048 (January 4, 2006), the rover suddenly entered auto mode, meaning that, in order to protect itself from a sequencing error, it cancelled all scheduled activities. Rover planners re-established control of all operating sequences by the following sol and the rover got back to work on its close-up examination of Santa Catarina. Opportunity wrapped up that week by doing remote sensing with the PanCam and mini-TES on more cobbles in the field -- Ibirama, Xaxim, Igreja, Lajes, and Pelotas -- and giving the Mössbauer more time on Santa Catarina. "There were dozens of these cobbles and it would have been prohibitively expensive in terms of time to go and look at every one, so the idea was let's really beat the living daylights out of one of them -- Santa Catarina -- and then check all the other ones for consistency with that one," said Squyres. "So we looked very thoroughly at Santa Catarina with both remote sensing and all the in situ instruments, then we looked at all the other cobbles around us with PanCam and mini-TES to see if there were any that looked different spectrally or texturally from Santa Catarina." As the second week of January got underway, Santa Catarina and the cobble field still topped Opportunity's work agenda. On Sol 1052 (January 8, 2007), the rover acquired full-color pictures of cobbles Mafra, Peixe, Videira, and Chapeco and again placed the Mössbauer on Santa Catarina. 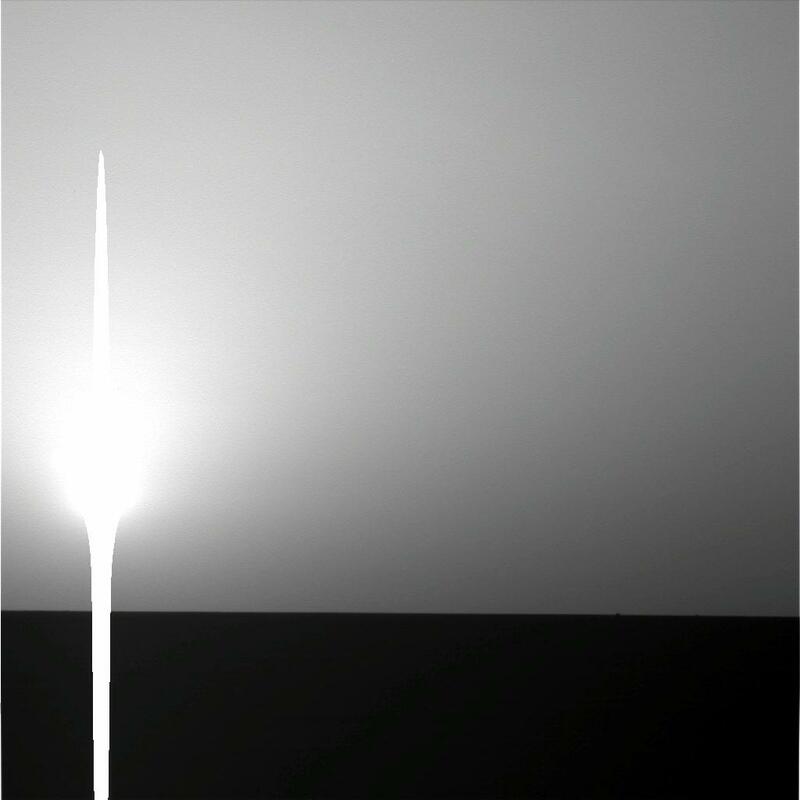 In addition to its daily atmospheric work, Opportunity monitored dust accumulation on the rover's mast on Sol 1054 (January 10, 2007) and began to wrap up its intense examination of Santa Catarina by once again placing the Mössbauer on the target. It's taking a good 40 to 48 hours to get a good, solid read on the iron content of targets from the aging Mössbauer, because its radioactive power source is decaying. Still, it's something of a miracle the instrument is still operating more than 2 and a half years past its "warranty." And, the time on Santa Catarina appears to be well spent. Opportunity spent much of the month of January investigating a rock the science team dubbed Santa Catarina. After analyzing the data on it and a number of other cobbles nearby, they have concluded that it is in all probability a meteorite in a field of meteorites. Judging from its high iron content, this rock as it turns out is probably a meteorite. "We're still going through the data, but that's the most likely interpretation," said Squyres. If that bears out, it will be the fifth meteorite found on the mission so far. Intriguingly, the nearby cobbles appear to have similar compositions based on data from the PanCam and mini-TES. In fact, they all looked just like Santa Catarina, meaning that, in all probability, this was a field of meteorites. "Every single one had the same mini-TES spectrum and the same PanCam spectrum as Santa Catarina," confirmed Squyres. "So we think, yes, this is a field of meteoritic debris and there's a high probability that the rest of those cobbles were meteoritic as well." As the week progressed, Opportunity also took some stereo images using the navigation camera, and some panoramic mosaics for help in planning the next drive to the edge of Victoria crater, which would give it a better look at the west face of Cape Desire, on the other side of the Bay of Toil. Following a couple sols of miscellaneous work that included a PanCam sky survey on Sol 1056 (January 12, 2007), APXS measurements of atmospheric argon, and mini-TES surveys of surface targets known as Pacific, Pacifico, and Straight on Sol 1057, Opportunity roved onward, beginning a drive across Cabo Anonimo, another one of the promontories on the northwest edge of Victoria crater, to the rim overlooking the Bay of Toil on Sol 1058 (January 14, 2007). From the far edge of that promontory, the rover, as planned, took pictures of the face of Cape Desire, the next promontory clockwise around the crater rim on the other side of the Bay of Toil. Steady as she went, Opportunity made progress in acquiring long-baseline stereo images of Victoria crater with its picture-taking on the Bay of Toil. These long-baseline stereo image assignments require the rover to move laterally from one point to another between taking images with the left and right eyes of the PanCam. The path separating the images is known as a baseline and it increases the apparent visual depth of features in the terrain. On Sol 1060 (January 16, 2007), the rover successfully acquired the first half of the long-baseline stereo image, then drove 2 meters (7 feet) to get into position to acquire the second half of the baseline stereo pair, which it completed on the following sol. The rover then proceeded around the Bay of Toil heading on for Cape Desire. On Sol 1062 (January 18, 2007), Opportunity acquired PanCam images of a rock outcrop dubbed Guam, a chevron-shaped rock outcrop exposed on the plains above the rim, and also used the camera to photograph a few rocks, nicknamed Gallego, Vasco, and Gomes, that were in the area. It also acquired mini-TES data on Gallego, the soil next to Gallego, and Vasco. The going began to get a little tough for Opportunity as it roved its way around the Bay of Toil to its next imaging spot at the tip of Cape Desire. "Driving there was difficult," Squyres reported. "When we're near the rim of the crater we have to be very careful." So the team has begun to test and make use of Opportunity's visual odometery, also known as visodom flight software, part of the rover's new "smarts," which allows it to determine its precise location after moving across sandy, somewhat slippery terrain. "When using visodom, the rover takes images of the terrain as it drives, and uses the features in the images to figure out exactly how far and in what direction it has moved," he explained. Far from being a dead world, Mars is a dynamic place, especially with regard to its weather. Different cloud patterns form in different places as the seasons change. This animation of clouds rolling across the sky was taken by Opportunity on Sol 956 (Oct. 2, 2006). The animation is composed of 10 images taken 32 seconds apart, so about 5 minutes of real time elapses. The clouds are somewhere between 5 and 25 kilometers (3 and 20 miles) above the surface. There was only one problem: the sandy surface is largely flat and featureless – except, of course, for the big drop-off into Victoria. That means there are very few, if any, features in the terrain for the visodom software to "lock on" to. "This created problems for us, and we had a couple of busted drives as a result," Squyres reported. 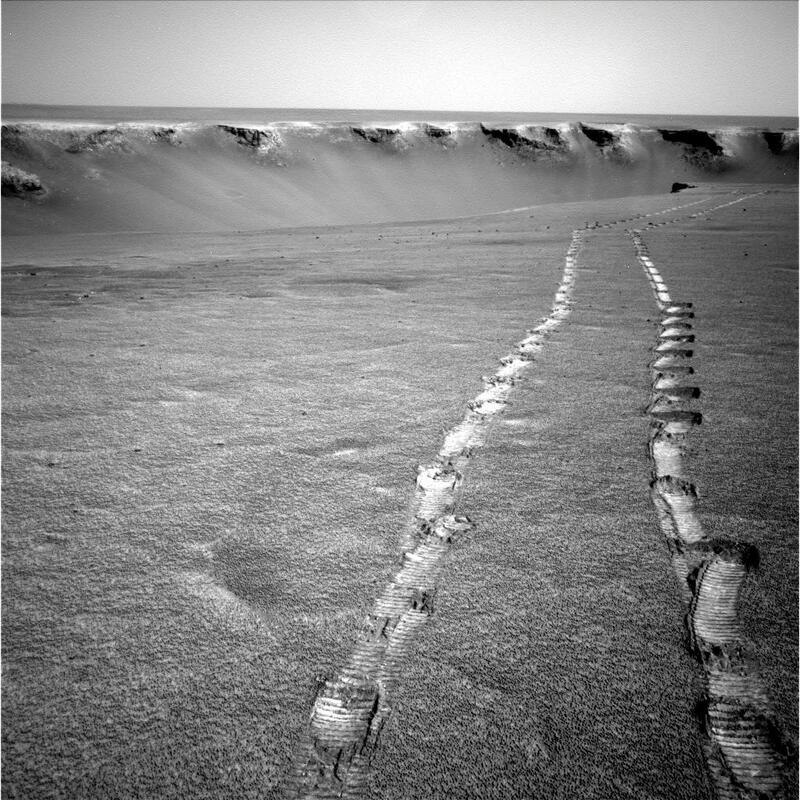 The rover handlers' primary reference points in this situation are the long rows of repeating ridges and holes in the Opportunity's tracks, which all look pretty much the same because they repeat the same pattern every 80 centimeters (2.6 feet). So the drivers had to get creative and figure out how to make the tracks look different at every step in order to remove any ambiguities in the images of the tracks. "It was something we called the picket fence problem – if you're walking by a picket fence, one picket looks like the next and so you can't tell where you are – same thing here," said Squyres. "If you're making nice straight rover tracks with tread after tread after tread they all sort of look the same, so the idea was to adds some diversity and some features to the tracks so that you've got something for the algorhythm to lock onto." On Sol 1066 (January 22, 2007), the diversity plan was tested. 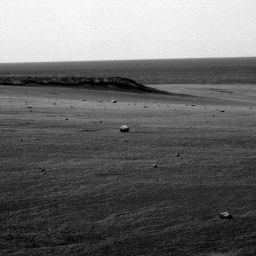 Opportunity drove 25.38 meters (83.27 feet) away from the rim of Victoria Crater to continue testing and determining the best way for the rover to drive so that the visual odometry could determine the precise position of the rover when it imaged the tracks. During that drive, the rover did a series of 5 tests, each designed to produce a different pattern in the tracks, all of which was done backward. During the first test, the rover created scuffs with both front wheels. During the second test, the rover wiggled the left wheel and scuffed with the right wheel. The third test was a "drunken sailor" test in which the rover drove in small curves. During the fourth test, the rover turned in place 10 degrees at specific intervals, or "steps." The fifth test was a combination of the previous four tests. 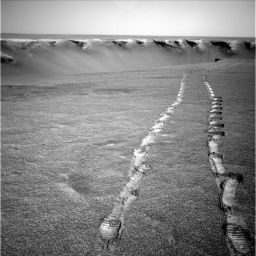 One of the drives left tracks that looked like the rover had done "a strange little dance," as it moved along, scuffing the soil and weaving from side to side, and "making some of the strangest-looking rover tracks you've ever seen," Squyres said. "It looks weird, but it works. We haven't had a single significant visodom failure since we started using these techniques." Opportunity took this picture with one of its navigation cameras on Sol 1066 (January 22, 2007) during a series of tests to check out its visual odometry or visodom software. This is part of the rover's "smarts" that allow it to image the terrain around it and figure out exactly how far and in what direction it moved. The different driving patterns were initiated by the rover handlers beceause there are very few features in the terrain around Victoria's rim, hence nothing distinctive enough for the visodom software to "lock" onto. The unusual roving patterns worked -- and so did the software. In addition to making its way further around Victoria's rim, Opportunity has in the last week or so measured atmospheric argon with the APXS, acquired part of a panoramic postcard of the big crater, surveyed Gomes, Gomes Background (the surface area around Gomes), and other rock targets, Santandres, Deseado, Narrows, Sardines, and Trabajo, with the mini-TES, monitored dust on the mast, and acquired PanCam images of the sky at sunset. 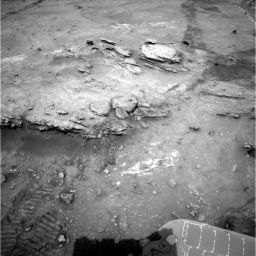 On Sol 1067 (January 23, 2007): Opportunity drove 40.43 meters (132.6 feet) to set up for the approach to the edge of Cape Desire, then acquired PanCam images of Guam, the chevron-shaped outcrop. On the following sol drove backward 7.8 meters (26 feet) toward the tip of Cape Desire. On Sol 1069 (January 26, 2007), the rover drove a short distance of 7 meters (23 feet) to an imaging position about 2.5 meters (8.2 feet) away from the left edge of Cape Desire. "We are now on the tip of Cape Desire and we are imaging both across Bay of Toil and across Bahia Blanca to look at the promontories on either side of those two," Squyres said. The next stop on the tour is Cabo Corrientes (Cape of the Currents), the "cape" on the far side of Bahia Blanca, or the next promontory over. It's where we're going next after we finish Cape Desire, which is where we are going next. "The sol that we planned today was the final imaging from Cape Desire and then on Friday, if all goes well, we'll be planning the beginning of the drive towards Cabo Corrientes." With its total odometry at around 9,920 meters (about 6.2 miles), Opportunity is closing in on a major driving record, which it will probably log in the books sometime next month -- 10,000 meters on Mars! That's a long, long way beyond the 182 to 914 meters -- or 6 to 10 football field lengths -- the rovers were expected to travel.